Dark Chocolate Benefits For Skin & Overall Health-How To Prepare Dark Chocolate In 10 Minutes? Are you a chocolate lover just like me? If Yes, you will jump out of joy to know that you can have a sweet bite of this tiny delicious piece daily from now on because these amazing dark chocolate benefits for skin and health are going to leave you awestruck. Starting from a bright and glowing, blemish-free skin to a good and healthy weight loss, there are countless benefits of eating dark chocolate and yes, not without a real scientific reason behind how it impacts your health! Not just this, the preparation of a healthy dark chocolate is as easy as having a bite of a tasty store-bought one. Wait for an interesting delicious recipe of dark chocolate that I have mentioned at the end of the article. But, before rushing to the recipe, have a glance at how this bittersweet, lovely ingredient impacts each & every aspect of your health. Is Dark Chocolate Good For Weight Loss? What kind of a Dark Chocolate Must You Choose? How To Prepare Your Own Dark Chocolate? Dark Chocolate Benefits – Just A Bite Of Chocolate Is All You Need To Enhance your Health! Semi-sweet chocolate! This is what we call a dark chocolate because of its less sweet taste and more bitter taste. But, it is the bitter taste which comes through more percentage of cocoa that is actually a great advantage to our health. Milk chocolates that we eat daily also do contain cocoa solids but in order to compensate the bitter taste of cocoa, milk and sugar are added to cocoa in high percentages which may not really fetch us with as many as below-mentioned 10 awesome benefits that dark chocolate provides us. 1. 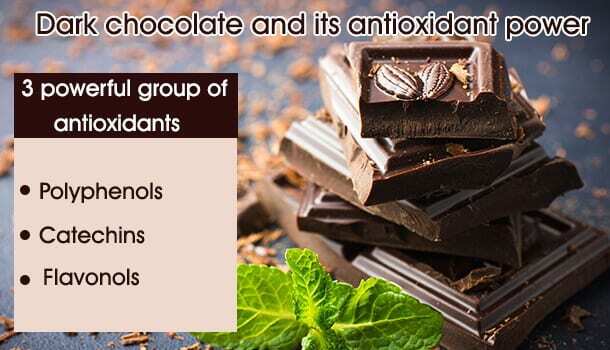 Dark Chocolate and Its Antioxidant Power! Dark chocolates probably outweigh blueberries in terms of antioxidants! Now, they stand first in being a good antioxidant source. Wondering what antioxidants do to our body? Antioxidants defend your body from cell damage that is caused by the free radicals. The number of antioxidants you have; more is your chance of preventing this harmful activity of free radicals. So, the next time someone questions you about your favourite habit of chomping a sweet block of dark chocolate every once in a while, you can acknowledge them with the fact that dark chocolate benefits your overall health as it is a great pack of antioxidants. 2. Dark Chocolate Is the New Diabetic Chocolate! I totally understand the pain of diabetics who love sweets! But, contrary to what it is always said, certain sweets, more probably something like a sweetened cocoa is not only safe but is something you must consciously choose if you are suffering from type-2 diabetes. This is because flavanols present in dark chocolate improve the function of your Beta cells so that they produce more insulin to convert your blood glucose levels into energy! Additionally, dark chocolate reduces the chances of heart diseases which is relatively high in people suffering from Type-2 diabetes since it increases good cholesterol (HDL) in your body. If the sugar content in dark chocolate refrains you from consuming it, know that the glycemic index of dark chocolate is low. When GI is low, it does not have much impact on your blood glucose levels. 3. How Dark Chocolate Enhances Your Learning Skills? Dark chocolate is said to have a positive impact on cognitive skills. Cognitive skills include learning, memorizing, thinking and paying attention to things. 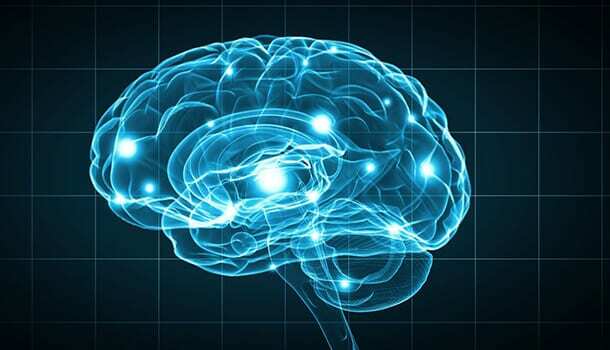 Studies have proven that the consumption of cocoa with high levels of flavanols has increased the flow of blood to the brain which resulted in a better functioning of the brain. Consuming dark chocolate before taking that big test can act as a great brain booster and it can increase your productivity. 4. How Dark Chocolate Makes You Happy? The benefits of dark chocolate not only impact your physical health but they also have a positive impact on your mental health. Feeling overly stressed causes a lot of chaos to your overall health but the truth is that we cannot escape our daily schedules to avoid stress. Curbing the stress levels is one way to not get adversely affected by stress. Good news is that you can make dark chocolate your stress buster. Dark chocolate contains good amounts of tryptophan in them which enhances your mood and making you peaceful & happy. Not only this, the caffeine content present in dark chocolate temporarily makes your brain active, alive and alert. Studies have proven that cocoa present in dark chocolate benefits our heart making it less susceptible to diseases and strokes. It is a proven fact that cocoa powder decreases the amount of bad cholesterol (LDL) and increases the amount of good cholesterol (HDL). It also decreases the harmful process of oxidation of LDL (which may either occur due to an excessive production of free radicles or simply due to the presence of high LDL). Cocoa present in dark chocolate is rich in antioxidants which stops the free radicals. Cocoa also reduces the levels of LDL. Consuming dark chocolate around 2-3 times per week reduces the chance of plaque getting accumulated in the arteries. Apart from reducing bad cholesterol and preventing the build of plaque, dark chocolate can also reduce the blood pressure which keeps your heart healthy and fit. 6. 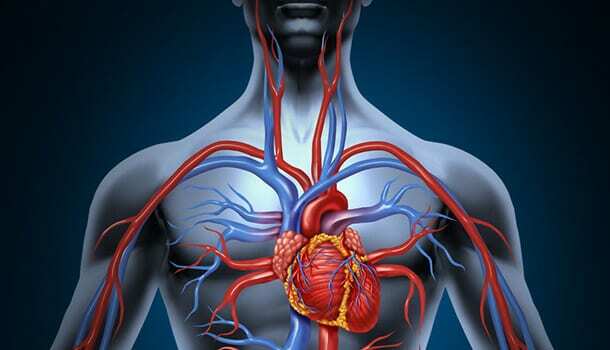 How Dark Chocolate Improves Your Blood Circulation? Dark chocolate helps those suffering from Anemia because it is one good source of Iron. Just a bar of dark chocolate which weighs around 100 grams provides you with 12 milligrams of Iron which surprisingly fulfils 67% of your daily recommended value. Furthermore, dark chocolate contains a group of antioxidants called flavanols which improve the blood circulation throughout your body. If you are suffering from a low red blood cell count, the best and systematic way to boost RBC production is to consume little amounts of dark chocolates daily and go for other iron-rich foods. 7. How Dark Chocolate Benefits Blood Pressure Levels? Having a high blood pressure means that the pressure with which the blood flows in your arteries is usually higher than it should be. Benefits of eating dark chocolate has a positive impact on your blood pressure because dark chocolate contains antioxidant properties in it which further result in the release of Nitric Oxide which reduces the overall pressure with which the blood flows in arteries. Maintaining good blood pressure is essential for the functioning of a healthy heart. 8. What Are the Benefits of Dark Chocolate on Eye Health? With a lot of strain that our eyes undergo due to continuous staring at computer screens and smartphone screens, considering a daily consumption of dark chocolate may have a positive impact on your vision. A proper circulation of blood to the blood vessels present in our eyes and brain is essential for a good vision. Fortunately, antioxidants called flavanols present in dark chocolate have proven to improve the blood flow to eyes and brain which ultimately improves your eye vision. 9. Is Dark Chocolate Good For Weight Loss? Eating chocolates makes you fat! Well, let me mention a small exception – Dark chocolate! In fact, dark chocolate does not make you fat, it helps you lose some calories because of its amazing properties. 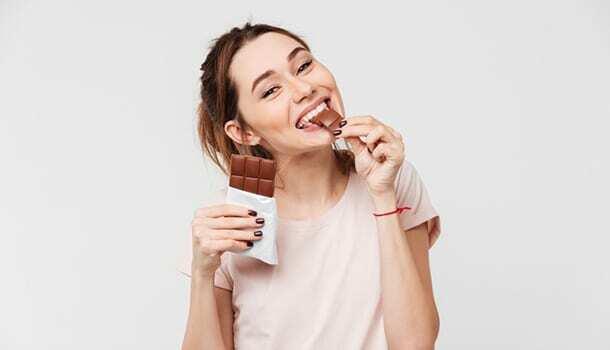 Having a bite of dark chocolate before your meals reduces your hunger levels because it impacts two of your hormones – Ghrelin and insulin. Dark chocolate decreases the levels of ‘hunger hormone’, Ghrelin, which ultimately makes you eat less. Also, dark chocolate decreases insulin resistance. Insulin resistance is a condition in which your body does not respond properly to the action of insulin hormone which may result in the accumulation of glucose levels in your blood. A high insulin resistance may increase your appetite. Dark chocolate is a source of healthy fats – Stearic acid and Oleic acid. Stearic acid, which is a kind of saturated fatty acid present in the chocolate helps in reducing the visceral fat – The fat which is formed around some organs like pancreas, intestines and liver. Oleic acid which is a healthy monounsaturated fat present in dark chocolate aids in a healthy fat metabolism. Considering all the above dark chocolate health benefits, having a sweet bite of dark chocolate before your meals is definitely good for weight loss. 10. Dark Chocolate Benefits For Skin – How It Makes Your Skin Supple, Soft And Glowing! Having a tiny block of dark chocolate every once in a while can eliminate all your skin woes. Here are four prominent dark chocolate benefits for skin. Cocoa content present in dark chocolate helps in moisturizing your skin so that your skin doesn’t become rough, uneven and itchy during the winters. No wonder moisturizers these days are added with cocoa butter. A regular consumption of dark chocolate helps in removing the dead cells from your skin, making your skin look fresh and lively. So, dark chocolate acts as a great detoxifier which enhances your skin quality. Exposure of our skin to sun rays after 12 in the noon can result in some serious complications like skin cancers or some severe sunburns. Consumption of dark chocolate on a regular basis can protect your skin from the effect of harmful rays. Want to Acquire A Glow? Eat more Dark Chocolate! Studies have proved that eating dark chocolate reduces the levels of cortisol which is a kind of stress hormone. When stress is reduced, your skin naturally appears glowing, radiant and vibrant. You will no longer see dull and lusterless skin if you make a regular habit of eating dark chocolates. It is a common fact that the benefits of eating dark chocolate are directly related to the type of dark chocolate that you choose because not all dark chocolates are the same. The composition of its ingredients, particularly cocoa, varies from one type of chocolate to another! Basically, it is the high content of cocoa in the chocolate that provides us with the maximum dark chocolate benefits. This is because cocoa contains flavanols. Higher the flavanols, larger is the benefit! Choose the chocolate that mentions not less than 70% cocoa. Avoid the type of dark chocolates that say they are processed with alkali on their nutritional label. This is because such kind of chocolates are added with certain agents to change their appearance which may alter the natural properties of cocoa. It’s time to make something delicious out of your own hands! Knowing the recipe of your own dark chocolate is a huge benefit because you can prepare one whenever you want to, instead of spending those extra bucks to buy the chocolate. Add half cup of coconut oil into the heating pan, ensuring that the flame is medium. Add cocoa powder to the oil. Immediately add 2-3 tablespoons of honey and flavour this with vanilla extract (half teaspoon). Stir this mixture well until you feel that the ingredients are properly blended and turn off the flame. Gently pour this mixture into a tray and let it cool. Store this tray in the refrigerator for at least one hour. You can cut them into your desired shapes or cubes after refrigerating them. It is a common misconception that chocolates are bad for your health! Well, at least not all chocolates have a negative impact on your health. Dark chocolates are one of those best super healthy foods, so much that even diabetics can benefit because of dark chocolate since they increase insulin sensitivity and reduce insulin resistance. They improve your skin texture by nourishing your skin and making it blemish-free. Furthermore, dark chocolates improve your brain functioning and your vision, control blood pressure, promote blood circulation, boost your immunity, improve your cholesterol levels and the best of all, dark chocolate improves your mood and makes you happy! So, why not take a chance of preparing your own recipe of dark chocolate!? Sai Sudha Chintapalli is a certified health blogger, who has an experience of above 2 years in the field of writing with an authorized certificate in the area of Introduction to food and health from Stanford University. She has a special interest in life sciences, human psychology and fitness which drove her to make blogging turn passion to profession. She has conducted a survey on Malnutrition in children in a slum area at Hyderabad and studied about the adulteration in Food items as the part of her projects while pursuing her bachelor's degree in Life Sciences. Being an introvert, writer, empath and a nature lover, she loves Yoga and believes it to be one of the best pathways to self discovery!